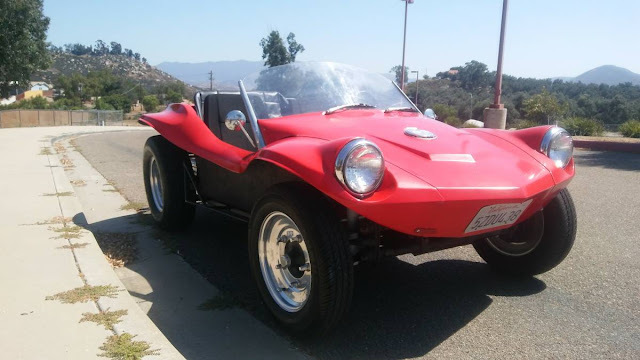 Bruce Meyers was the father of the late 1960s VW based dune buggy movement but plenty of other folks built little buggys in various quantities. A guy named Brian Dries built something he called the Bounty Hunter out of a small workshop in Burbank, CA, -- and to be totally honest, I didn't know anything about the Bounty Hunter (or the Deserter) until today! 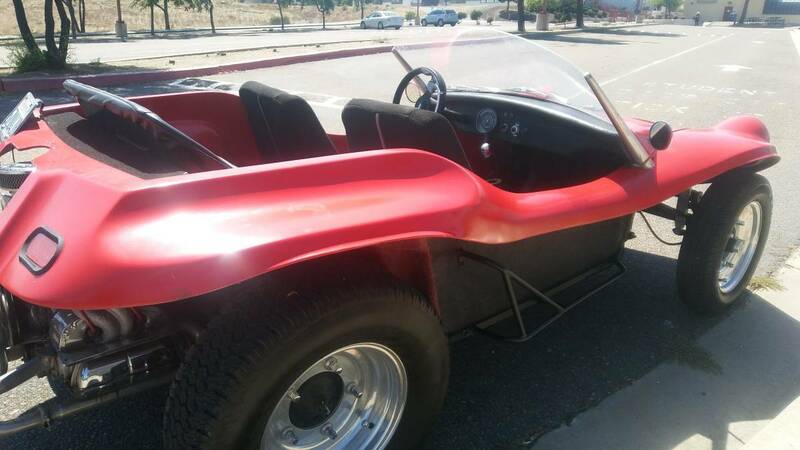 Find this 1967 Meyers Bounty Hunter offered for $6,700 in East Cty San Diego, CA via craigslist. Tip from RockOn! You can read more about the Bounty Hunter this excerpt from a book called "The Dune Buggy Handbook" but it appears that the Bounty Hunter was another Meyers Manx style buggy...but it used the curved front windscreen from a Renault Dauphine. If you are searching for good looking buggy, this isn't a bad way to go. Alex Dearborn bought the rights to the Bounty Hunter and made among other things a Deserter GS which had a mid-engine tube frame design that was marketed as an autocross car. There is a green Deserter GS that I see parked in Brooklyn every so often with what looks like a mid mounted Corvair engine. This is the only non bruce meyers buggy design that I think looks good, but the missing side panels would make it look better. This sounds like a good deal, there can't be many of these left , much less this nice. I would lower it about 2 or three inches to get a little negative camber in the rear end and optimize it for handling and forget about off roading it. Hugh -- that is the kind of optimism that I love about the readers of this site. How much fun would this be to autocross on slicks? Think Porsche Speedster with less weight. Speedster has 82.7″ wheelbase, I think these are about that, longer than the Manx in any case.